An Electric motor is a machine which converts electrical input energy into mechanical output energy. 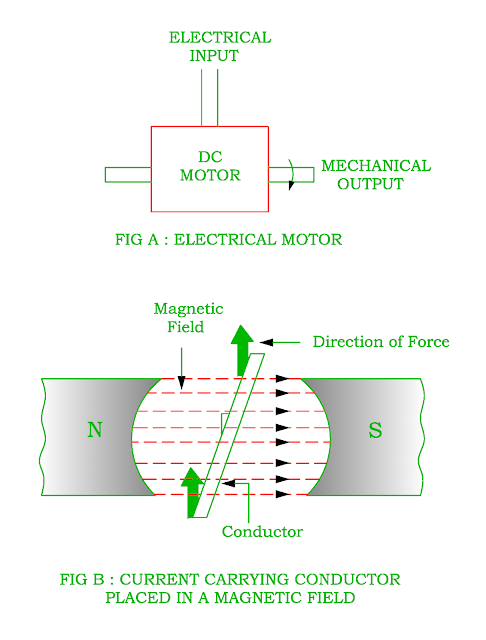 When q = 90° ( conductor and magnetic field are mutually perpendicular ) force produced on the conductor is maximum. If q = 0° ( conductor and magnetic field is parallel ) force produced on the conductor is zero. How does the rotor (armature) rotate? 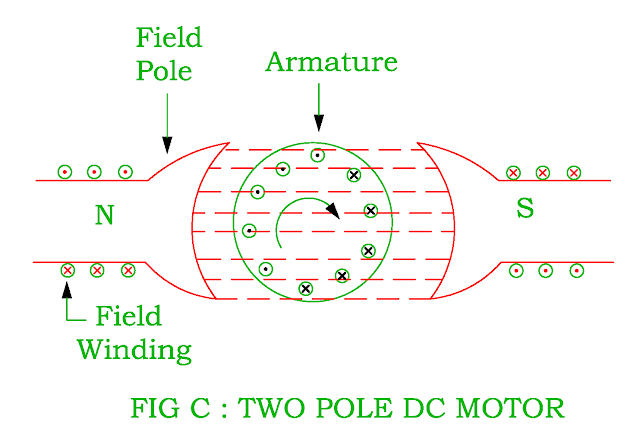 When the DC supply is given to the motor, a direct current passes through brushes, commutator and armature winding. When it passes through commutator, it converts DC into AC. Therefore the group of conductors under the influence of N – pole and S – pole carry currents in the reverse direction. The two pole DC Motor is shown in the Figure C.
Let the current in the armature conductors be outward under the influence of N – pole ( Shown by dots ) and inwards under the influence of S – pole ( Shown by Crosses ). 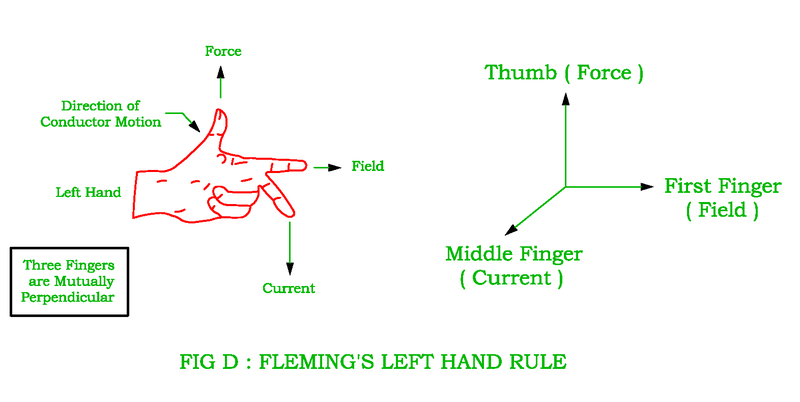 The direction of force on each conductor can be determined by applying Fleming's left hand rule. If the first finger shows a direction of magnetic field and middle finger shows a direction of current, thumbs indicates the direction of force. The conductors experience force in the clockwise direction as shown in the Figure D.
These forces collectively produces a driving torque resulting armature rotates in the clockwise direction. When the rotor rotates, there is always an equal and opposite torque on the stator that is why it is very important to bolt a motor securely.